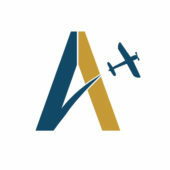 I had a great experience with my first Intro flight experience with Aptis! I was excited to check out an intro flight lesson in a small plane. It was everything I hoped for! Patrick was relaxed, professional, and informative during each step of the lesson. Cost was very reasonable with Groupon, well worth it. I’m so glad I chose to take an intro lesson there. You can also choose to take someone with you for an extra $20, you just need to tell them in advance.